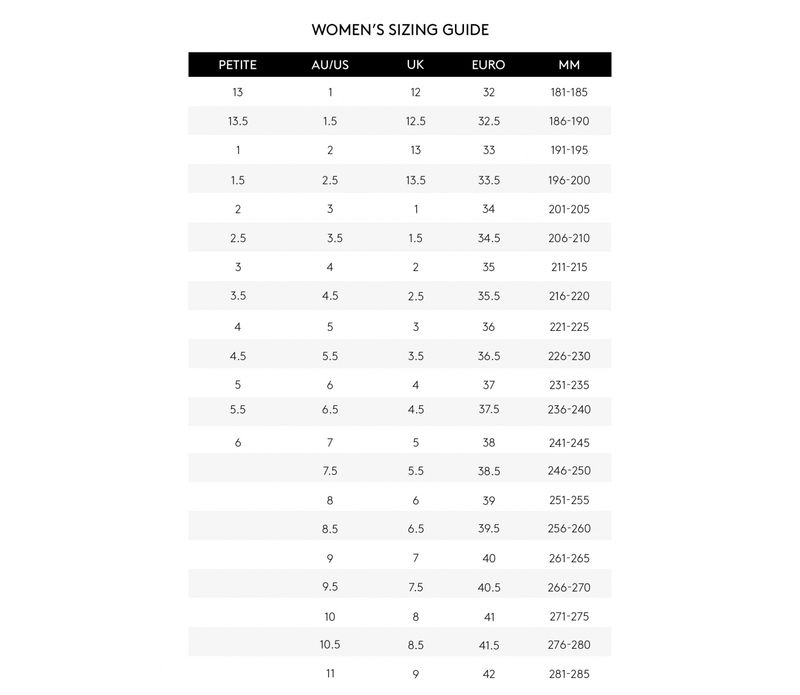 Measurements are taken on a size 6 and are approximate. WHAT IF THE SHOE DOESN'T FIT? 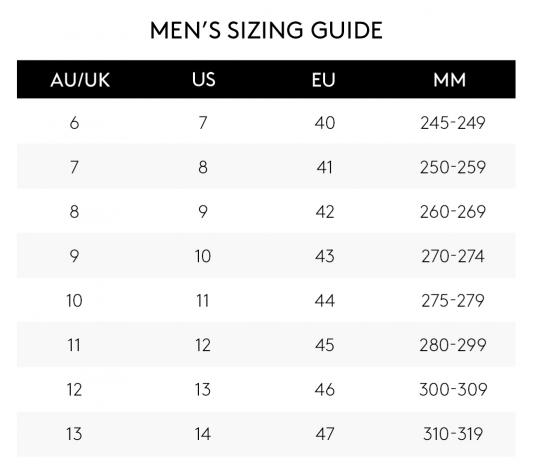 The Betts team does its best to provide an accurate shoe size guide. In the event a shoe you ordered doesn’t fit, don’t stress! We offer returns and exchanges on all online purchases. Head to our Returns page to find out more. Unfortunately not all shoes are made in half sizes. If you're unsure, we suggest purchasing two different sizes, then sending back the ones that don't fit. Really easy, and you won't have to wait for a second pair! We have made every effort to display as accurately as possible the colours of our products that appear on Betts. However, as computer monitors vary, we cannot guarantee that your monitor's display of any colour will be completely accurate.